Our family took a mini vacation this past weekend to Sanibel Island in hopes of exploring some Floridian habitats and studying some native creatures. Okay, you caught me. 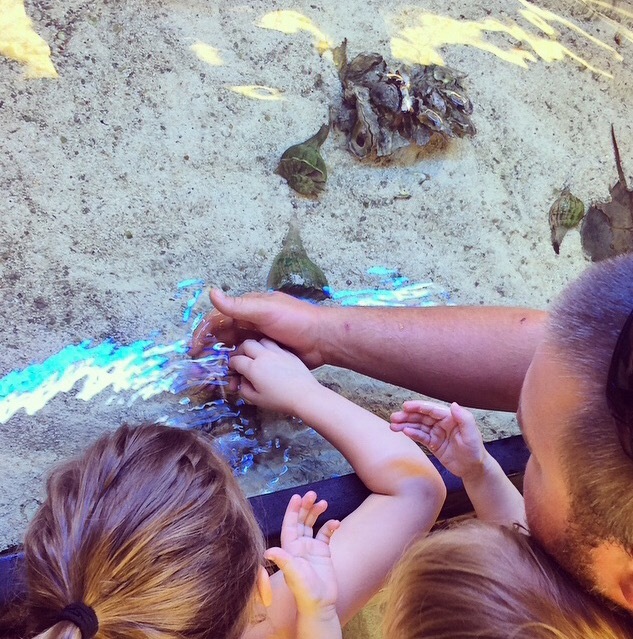 We have a 4-year-old and they have a touch tank. It’s a win/win scenario. We had no idea with was National Wildlife Refuge Week! When we arrived at “Ding” Darling Wildlife Refuge we learned about the holiday and were surprised to hear they offer free admission during this time. The U.S. Senate has commemorated the week of October 12th as National Wildlife Refuge Week in an effort to bring awareness to these great habitats. The National Wildlife Refuge System works hard to keep a list of current special events which take place nationwide. These refuges are irreplaceable as they are home to over 700 types of birds, 220 varieties of mammals, 250 kinds of reptiles and amphibians, 1,000 species of fish as well as countless invertebrates and plants. They provide havens for some 280 endangered species including everything from the panthers of Florida to the polar bears of the Arctic. Originally established in 1982, “Ding” Darling Wildlife Refuge holds several prestigious awards and has been involved with countless conservation projects. They were recognized in 2009 for their work distributing funds for refuge employees who were affected by Hurricane Katrina. Then, in 2012, they were awarded both the Award for Education from Lee County and the Global Phoenix Award for conservation in tourism from the Society of American Travel Writer (SATW). Conservation and education are two of the refuge’s main goals and they excel in each field. The educational center offered a lot of fun including hands on activities before we headed out to the reserve. Our family had a great time driving through the sanctuary and taking small walks discovering the various inhabitants. The beaches were teeming with crabs while the waterways were quickly filling with hungry birds. It was beautiful! Click here to see more about “Ding” Darling Wildlife Refuge’s history and their many conservation efforts. While browsing the gift shop, I came across a collection of 3-D puzzles and knew we couldn’t leave without one. 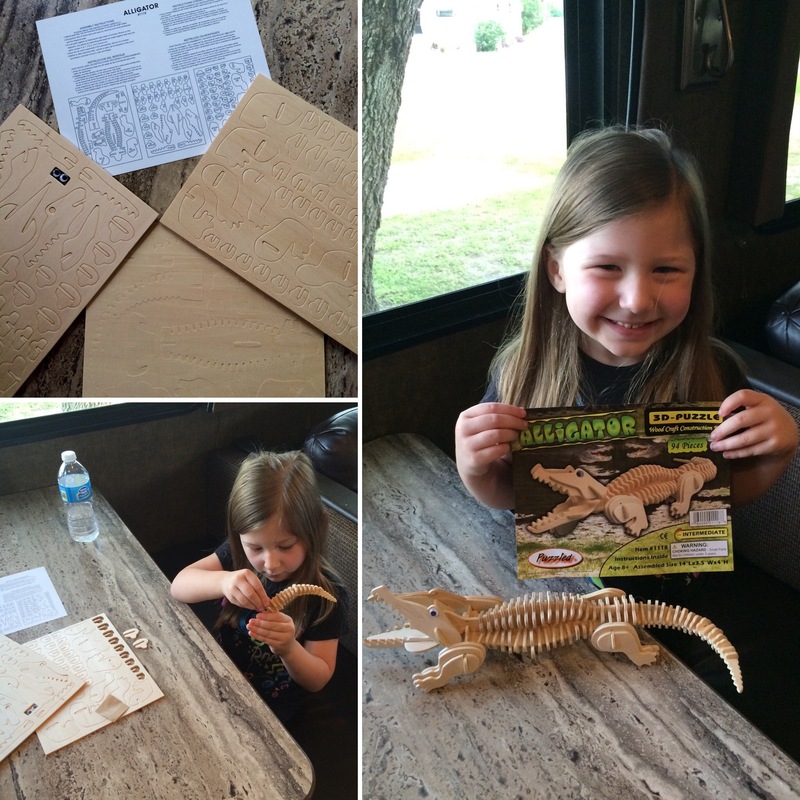 After some consideration, Aryanna helped pick out the alligator puzzle seen below. I decided to pair this with a book, the front desk personnel passed us some informational coloring pamphlets, and our week’s lesson plan had been created. How can you not love the freedoms of homeschooling?! I had luck finding the 3D puzzle on several websites but unfortunately the creator, Puzzled Inc., only sells wholesale sets. I would highly recommend this for a fun afternoon craft! It comes with everything you need (except wood glue) and took us around 50 minutes from start to finish. Alexandra had fun coloring while big sister and I completed our alligator. I would suggest leaving all pieces on the board and popping them out as you go. That was our method and it worked out great! Previous articleHomeschooling: Am I Enough?